Grilling season is finally here…in Michigan it takes awhile to get here, so it’s arrival brings such excitement. And that means we’ll be grilling up all.the.proteins. There’s something about the smell of grilling food that gets my stomach growling out loud. All you need for this easy weeknight dinner is a few pantry staples and Smithfield All Natural Boneless Pork Chops. 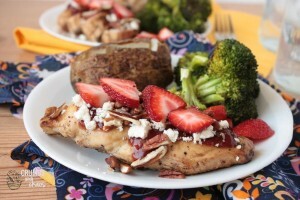 This delicious meal will be hot and ready in just minutes. 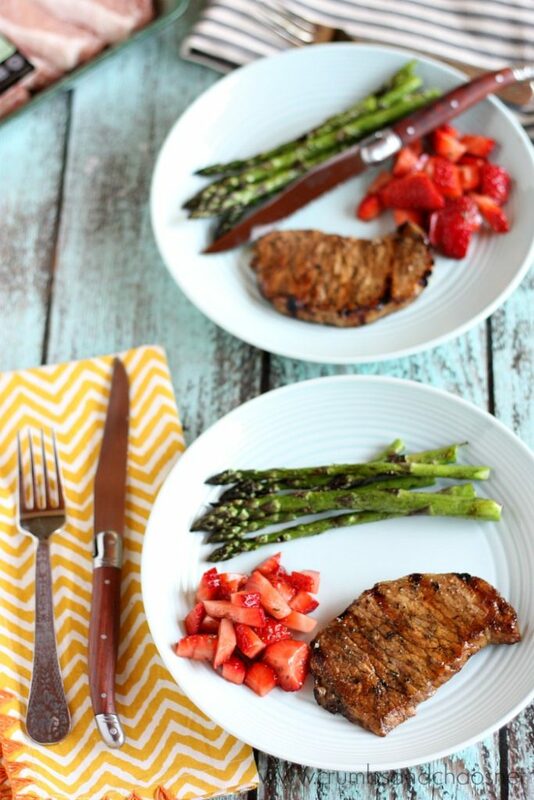 Make the most of spring’s best produce and complement your grilled pork chops with fresh strawberry relish – tangy and sweet, it is the perfect pair for pork and grilled asparagus – a side dish that’s almost effortless. Place 1 package of Smithfield All Natural Boneless Pork Chops in a gallon size zip top bag. In a measuring cup, stir together 1/4 cup olive oil, 1/4 cup balsamic vinegar, 1 clove crushed garlic, 1/2 teaspoon dried basil, 1/2 teaspoon salt and 1/8 teaspoon pepper. Pour this mixture over the pork chops, seal the bag and rotate several times to coat the pork well. Place in fridge for at least 2 hours to marinate. Preheat grill to medium and place pork chops on the grill. Turn after 4-5 minutes and cook for an additional 2-3 minutes until a meat thermometer registers 140-145 degrees. 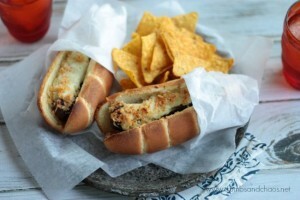 Serve with strawberry relish (recipe below). 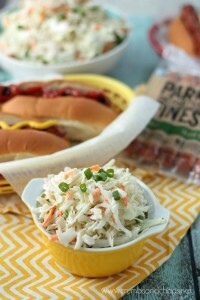 Since the grill is already on, make your side dish at the same time! I love grilled asparagus and it couldn’t be simpler to make – trim the ends from washed asparagus and place in a shallow dish, drizzle with olive oil and season with salt and pepper. Place on the grill, cook for 3 minutes on one side, flip and cook for a minute or two more. Serve immediately with grilled pork chops. Place pork chops in a gallon size zip top baggie. In a measuring cup, stir together olive oil, vinegar, garlic, ½ teaspoon basil, ½ teaspoon salt and ⅛ teaspoon pepper. Pour over pork chops, seal bag shut and rotate several times to coat pork chops. Refrigerate for at least 2 hours and up to 8. Preheat grill to medium Grill pork chops, 4-5 minutes on the first side and 2-3 minutes on the second. Cook until a meat thermometer registers 140-145 degrees. 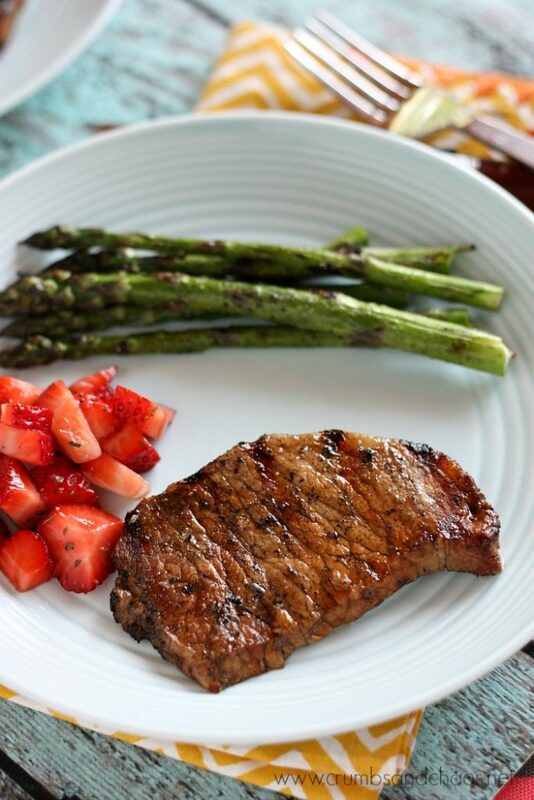 Serve with strawberry relish and grilled asparagus. Stir together all the relish ingredients. 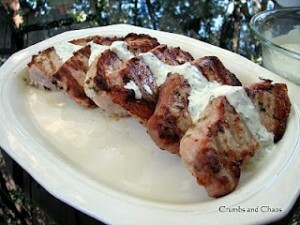 Serve with grilled pork chops. 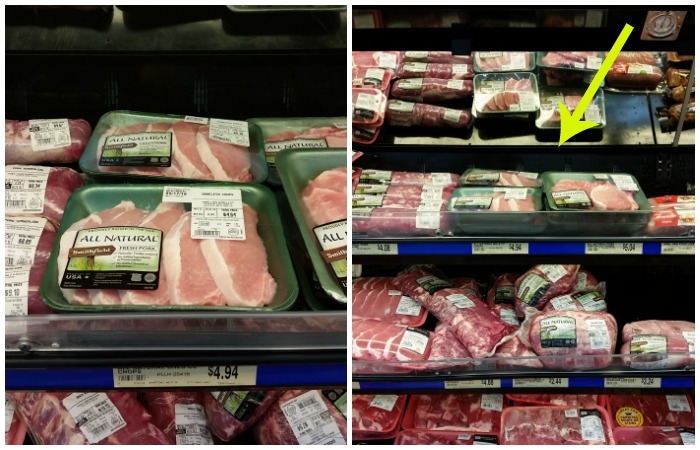 You will find Smithfield All Natural Pork Chops at Walmart on the top shelf with the other pork products. There is boneless and bone-in chops, as well as back ribs, boneless loin filet, shoulder roast and tenderloin. 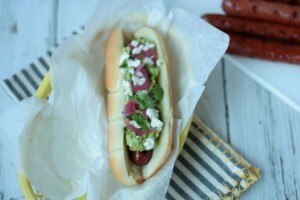 Smithfield® has something for everyone! To learn more about how Smithfield provides quality pork, visit this site. 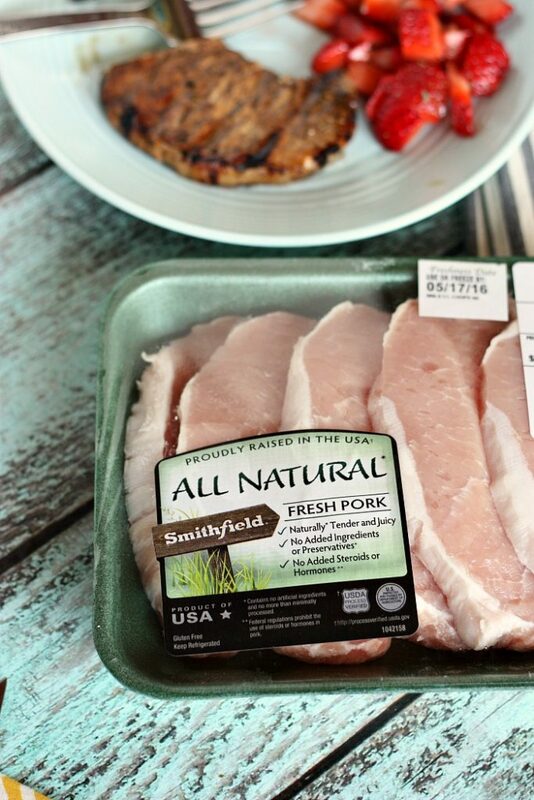 What’s your favorite way to cook Smithfield All Natural Fresh Pork?